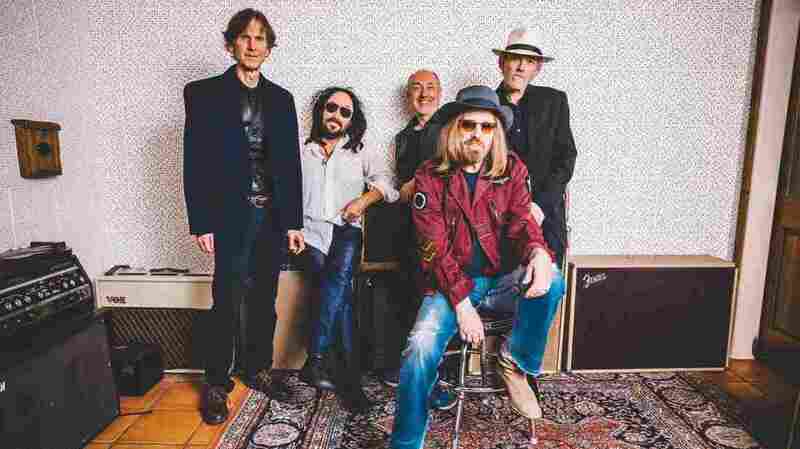 Mudcrutch On World Cafe : World Cafe Tom Petty's gotten his old band back together for a new album, Mudcrutch 2. Hear the songs performed live. In 1970, five guys — Tom Petty, Tom Leadon, Randall Marsh, Mike Campbell and Benmont Tench — formed a band, moved from Florida to Hollywood, made a single and broke up. If it hadn't been for Petty holding onto Campbell and Tench as part of The Heartbreakers, that original band, Mudcrutch, might have never come back together — but in 2007, they did just that to make a new record. Nine years later, Mudcrutch is back with another new album, Mudcrutch 2, which the band performs live in this session.